A recent video apparently shows a Chinese rebel training camp in Pakistan. That could complicate ties. The children in the video look to be as young as 6. They are shown firing handguns, AK-47 assault rifles and machine guns at what appears to be a training camp. For Pakistan, the video may well prove a major headache, as the camp is apparently located in the volatile North Waziristan tribal area of the country, but is operated by a Chinese rebel force known as the East Turkestan Islamic Movement (ETIM), or the Turkestan Islamic Party. The ETIM is an extremist movement mostly active in the Xinjiang province at the Pakistan-China border. The video bears striking similarities to the training videos released by Jehadi groups like Tehrik-e-Taliban Pakistan (TTP) and Fidayeen-e-Islam (FI), with a visible black Taliban Flag and the light blue Turkestan Islamic Party's banner in the background. With a newly elected government, Islamabad has still not announced any strategy to tackle the alarming turn of events that could conceivably lead to a breach in its relations with China. Formally founded in 1997, the ETIM is a separatist movement with a goal of liberating Xinjiang from what it calls China's colonial occupation, establishing the East Turkestan autonomous state and installing an Islamic caliphate. Bordering Afghanistan and Pakistan, Xinjiang is a strategically important province with about 45% percent of its people belonging to the Turkic-speaking Uyghur Muslim ethnic community. Although several separatist and extremist factions operate in the province, ETIM has been the most effective and the most widely condemned over its terrorist activities. Its members range across Afghanistan, Tajikistan, Pakistan and Uzbekistan, and operate from sanctuaries mostly dotted across the war-torn Pakistan-Afghanistan border. The movement operates at two levels, with one solely dedicated to Xinjiang's liberation from China and the other providing assistance to Al-Qaeda and similar Jehadi groups in the region. The video is the first evidence of long-time Chinese claims that such training camps are active in the tribal areas of Pakistan. What complicates the situation are Pakistan’s strong relations with China. Pakistan's reaction to the video has not been made official by the authorities but it is expected to be supportive of China’s position. China has long been criticized by the international community, especially human rights organizations in the U.S., over alleged human rights violations and abuses of Muslims in the Xinjiang province. Pakistan has been silent on the claims, despite being not only a majority Muslim state but also a long-time U.S. ally in the so-called War on Terror. With the Pakistan military already operating in the Waziristan areas at the behest of the U.S., a China-backed initiative cannot be ruled out as a possible solution for Pakistan. 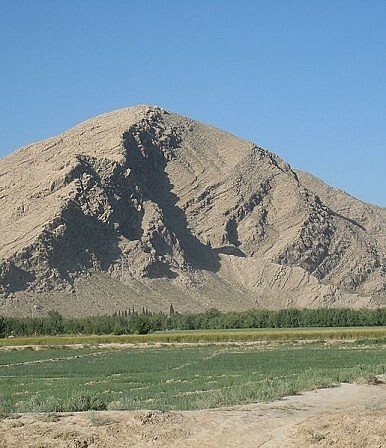 Different sources have claimed that ETIM has had links with Al-Qaeda, Osama bin laden and the Taliban, including training and financial assistance for ETIM members in Xinjiang. In fact, the U.S. State Department has said the movement has not only received training and financial assistance from Al-Qaeda, but its operatives have fought in the ranks of Al-Qaeda against the United States in Operation Enduring Freedom. According to reports, 22 Uyghur militants were captured by the US marines in Afghanistan in 2006, and were held at Guantanamo for possible ties with Al-Qaeda. In 2002, a Chinese government study also found that ETIM was receiving weapons, money and support from Al-Qaeda. The name ETIM became a little too familiar to intelligence agencies in Pakistan and China after the 2011 Kashgar attacks. The series of knife and bomb attacks by Uyghur men in the city of Kashgar on July 30 and 31, 2011 left at least 20 dead and several injured. The 5 attackers detained by the police confessed ties to ETIM. In a major blow to Sino-Pakistan relations, the city government announced that a probe revealed the attackers were trained in Pakistan. Earlier, in 2007, ETIM had claimed responsibility for the shooting of Chinese nationals in the Balochistan province of Pakistan. ETIM has also claimed responsibility for several bus bombings in Kunming and an attempted plane hijacking in Urumqi. And bomb plots have been foiled in Dubai and Norway, suggesting an increasingly international reach. Surprisingly, the U.S. has been careful about choosing sides over the ETIM issue. The State Department did not hesitate to put ETIM on its terrorist list, and yet managed to retain a studied neutrality on the Uyghurs autonomous Eastern Turkestan cause. The 22 Uyghur militants captured in Afghanistan were subsequently reclassified as No Longer Enemy Combatants and were ordered by a panel of judges to be released. Some of these detainees have been transferred to Palau and Bermuda. despite criticism by the U.K.
Another interesting aspect is the World Uyghur Congress, an international organization working for the rights of Uyghurs within and outside Xinjiang. Criticized by China as a legal cover to illegal ETIM activities, the congress is financially supported by the National Endowment of Democracy (NED) in the U.S., which is a nonprofit organization supported by the U.S. government's United States Agency for International Development (USAID). The ETIM issue is a challenge for both China and Pakistan. If tackled correctly it could take bilateral relations to a new level. But even a slight miscalculation could prove devastating for both countries and the regional resolve against terrorism. Malik Ayub Sumbal is an award-winning journalist based in Islamabad.